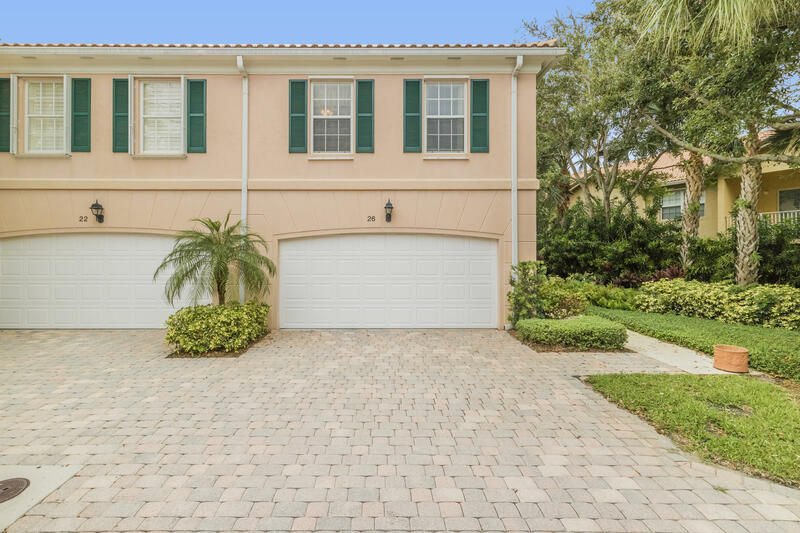 Live within biking distance from the beach, Intracoastal, and numerous nature preserves in this bright & sunny, DiVosta-built, open plan 3BR/21/2BA, 2-car garage, corner townhome, located on a quiet street in the much sought-after Village of Tequesta. This gorgeous, comfortable home has many desirable features, including volume ceilings with recessed lighting, carpeted flooring, large windows and sliding glass doors, gourmet kitchen with stunning patio views and spacious white cabinets, a large master suite with ample storage space, and a screened-in private back patio surrounded by mature trees and lush tropical landscaping. The community has a pool for residents and is within walking distance of shops and restaurants.